More than any other vehicle brand, MINI is a statement of personal style and inspires customers all over the world. Constantly reinventing the brand through attractive products, innovation, authenticity and distinctive brand communications is part of the MINI DNA. This enthusiasm for the brand is also reflected in the latest Best Global Brands ranking compiled by the brand consultancy Interbrand. MINI continues its steady growth in brand value. In 2014, the brand was yet to break into the top 100, but debuted at number 98 in 2015 and climbed ten places in 2016 to reach number 88. This year, it once again improved on this position. The strong growth in brand value stems from systematic implementation of the brand realignment announced in 2015. Design, authenticity and intrinsic value define the new brand identity, which is also reflected in the visual appearance and new tonality of communications. MINI goes beyond the car to discover new applications for the unique MINI DNA. The brand appeals to creative young people living in cities, where attractive living space is increasingly scarce and responsible use of housing resources is becoming more important. True to its traditional product promises of “creative use of space” and “minimal footprint”, MINI is presenting a visionary solution for both challenges with the “MINI LIVING – Breathe” installation. MINI also promotes responsible use of resources through its products and has been active in the field of electromobility for over a decade. The MINI E marked the beginning of widescale studies of e-mobility back in 2008. 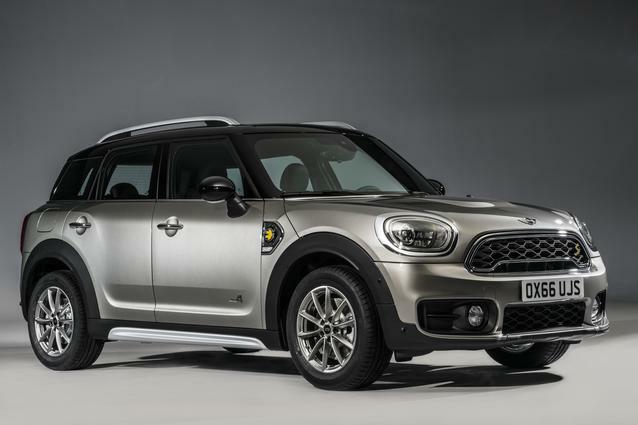 Based on know-how gained from almost ten years of electromobility, the MINI Cooper S E Countryman ALL4 plug-in hybrid was launched earlier this year. In 2019, MINI will also release a fully-electric three-door model, which was previewed as the MINI Electric Concept at this year’s IAA motor show. In this way, the conventional MINI portfolio will be complemented by plug-in hybrids and pure-electric models. Steady growth in the value of the MINI brand has been accompanied by corresponding growth in product sales. In the first eight months of this year, sales rose 3.1% year-on-year to reach a total of 230,925 vehicles. The biggest growth drivers for the premium brand are the MINI Countryman (+12.9%) and the MINI Convertible (+20.3%). “Best Global Brands” 2017 is the 18th edition of the report published annually by global brand consultancy Interbrand, which explores how brands determine the success of a company. The evaluation is based on the financial success of the products and services belonging to the brand, the role of the brand in customer decision-making and its impact on company pricing.